Perhaps these two brief extracts from one of the best-known fighter aces of World War Two help to explain why the Spitfire became such a famous British icon. But of course in his book Douglas Bader also sings the praises and traces the service of the Hurricane – which along with the Spitfire bore the brunt of the defence of Great Britain as the RAF went up again and again as massed waves of Luftwaffe bombers and fighters tried to gain air superiority, ready for a planned German invasion of southern England in summer 1940. As 2010 progresses there will be many moving commemorations to mark the 70th anniversary of the Battle of Britain. Spitfires and Hurricanes will be in great demand at airshows, and the remaining ‘Few’ will rightly be shown great respect wherever they are in attendance. It is the Spitfire that we focus on in this issue of Aviation Classics; that most quintessential of British fighters. Within these pages numerous aspects of its story are covered, including: the Supermarine racing floatplanes for which monoplane technology was advanced; the very first example of the breed; the type’s arrival into RAF service; combat in the Battle of Britain; fighter sweeps to occupied France; its conversion to the photo recce role and for Naval operations; and even its part in the formation of the RAF’s commemorative unit. 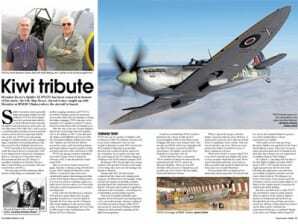 We also feature a selection of the world’s Spitfire warbirds, including some from as far afield as Australia and New Zealand, and get a behind-the-scenes look inside a UK workshop from which some of the finest Spitfire restorations have emerged and which is currently in the process of restoring a Mk.I to its authentic early configuration – a sight not seen in the air for around 70 years. But of course the story of any aeroplane is not complete without looking at the people involved. RJ Mitchell, Douglas Bader, ‘Johnnie’ Johnson, Alex Henshaw, Geoffrey Wellum, Al Deere and ‘Sailor’ Malan all feature in this issue, and while not a complete list it does offer a cross-section of personalities and influences. Having thoroughly enjoyed compiling the content of the first three editions of Aviation Classics looking at some of the best-known types from World War Two, I decided that the time is now right to put together one of the ‘surprises’ I mentioned to you in my previous editorial. Therefore, for the next issue we will turn the clock back to World War One, when military aviation was still in its infancy and aerial combat was a new concept of war. I am really looking forward to working on the exciting features that are planned. 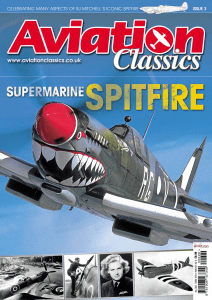 Meanwhile, I do hope you enjoy the contents within this issue as we look at RJ Mitchell’s masterpiece and would like to again thank all of you who have supported Aviation Classics and sent in such kind and encouraging words about the series so far. A special preview feature from Aviation Classics – The Supermarine Spitfire – Brendon Deere’s Spitfire IX PV270 has been restored in honour of his uncle, Air Cdr Alan Deere. Jarrod Cotter caught up with Brendon at RNZAF Ohakea where the aircraft is based. Spitfire restoration stories generally make interesting reading, but that of Mk.IXc PV270 in New Zealand has a very personal slant added to it. Owner Brendon Deere has had the fighter restored in honour of his uncle, Air Cdr Alan Deere DSO OBE DFC*, and to act as a commemorative aircraft at events around the country such as the very important ANZAC Day. In this way, PV270 is not only paying homage to a family member, but also making a huge contribution in honouring all those who have served in New Zealand’s armed forces. PV270 was built at the Vickers Armstrong Castle Bromwich factory in September 1944. It was shipped from Liverpool to Casablanca, Morocco, arriving on 3 November and its first operational unit was 225 (Army Co-operation) Squadron at Peretola, Florence, Italy. It arrived there on 28 January 1945 and received the code WU-J. This unit supported the advancing Allied armies in Italy flying reconnaissance and artillery ranging operations and PV270 is recorded as having carried out numerous such sorties while with 225 Squadron. During the Italian campaign, PV270 was also on the strength of 111 Squadron coded JU-F and is believed to have flown with 253 Squadron too. After the war, it was one of many Spitfires placed into local storage that were handed over to the Italians in 1947. It was allocated the Italian serial MM4014 and served with the Aeronautica Militare Italiana from June 1947. Spitfires served with the AMI for around two years, until structural problems and engine failures caused a number of fatal accidents that led to their retirement in 1950. PV270 was among a number of Spitfires next sold to Israel, where it arrived in February 1953. It was allocated the Israeli serial 20-80. After its service in Israel it moved yet again, this time to Burma, being ferried there in June 1955. Gaining the Burmese serial UB424, it is known to have been used operationally against Kuomintang guerrillas on the North Eastern Burma/China border. It is even recorded as requiring repairs to a bullet hole in the port aileron on 9 December 1955 after a week’s deployment to a forward operating base. It was retired by the Burmese in January 1956 and then spent many years as a gate guardian mounted on a concrete plinth at Hmwabi Air Force base (north of Yangon). After being displayed in the open for many years, it moved to Mingadalon Air Force base in 1995 as part of the establishment of the Burma Air Force Museum. PV270 was one of a number of Spitfires sold by Burma in 1998. The airframe was first sold to an owner in Missouri, USA, but was bought by Brendon in early 2001. It arrived in New Zealand in May that year and after Brendon had considered all the options for the restoration, he set up his own team and the work began in the ITL Aviation hangar at Feilding on the North Island in January 2004. By January 2005, the fuselage was coming together well, and that February work began on the wings. By year’s end, the fuselage was largely re-skinned. During early 2007, the tail unit was complete and the wings were making great progress. As 2008 arrived, the fuselage, wings and tail were largely structurally complete, and that March the refurbished Rolls-Royce Merlin 70 arrived, which marked a significant milestone in the restoration – everything now needed fitting out and putting together. That year, the Spitfire gradually came together and by November was standing back on its own undercarriage. Systems continued to be fitted out and in January 2009, PV270 was moved by road from Feilding to RNZAF Ohakea for final assembly, painting and the flight test programme. It had been decided that PV270 would be finished in the colours of Alan Deere’s personal Spitfire while he was Wing Leader at Biggin Hill, Kent, circa summer 1943. This aircraft was EN568, which was originally built as a Mk.V but later converted to Mk.IX specification. The fighter carried the New Zealand ace’s personal code, AL. Of this, Brendon Deere commented: “We’ve worked out that in its service life this particular aircraft, PV270, carried six different identities. There are two RAF identities with 225 and 111 Squadrons, and possibly also 253 it seems. Plus the Italian, Israeli and Burmese liveries. “When I started the project, with the family connection with my uncle Al Deere, it made perfect sense for me to take the artistic licence of painting it in his colours. That was not everybody’s cup of tea. There are some purists who believe it should be in one of those original six schemes. “What we’ve tried to re-create with PV270 is my uncle’s aircraft from Biggin Hill, down to every possible detail that we could. We’ve kept it absolutely authentic; we’ve done as little as possible that would be different from what came out of Castle Bromwich. “It’s associated with our family and we think that’s pretty important. Everybody that I’ve met in New Zealand thinks it’s great to see a New Zealand flyer’s colours represented on a Spitfire. On 5 March – coinciding with the date of the first flight of Spitfire prototype K5054 back in 1936 – PV270 underwent its first engine ground runs. By the end of the following day, high-power runs had been successfully completed; and after over five years of hard work by Pete Burgess, Joe Deere, Pete Jesten, Greg Johnson and Gijs Schoutens, carried out its maiden flight on 18 March in the capable hands of experienced warbird pilot Keith Skilling. But there was little time to relax; PV270 was scheduled to make its public airshow debut on April 12 at the Classics Fighters airshow at Omaka and still needed to go through all its air tests and have any issues ironed out. All nine of these had been carried out by April 2 and to celebrate the achievement Keith put on a polished display in the skies over Ohakea which stopped everybody in their tracks – anyone who has seen a Keith Skilling warbird display will know why! On the evening of April 12, PV270 burst out of the beautiful golden sunlight created by the sun setting behind the picturesque hills of Omaka to make its public display debut in the finest style possible. Keith was at the controls again that evening, with John Lanham performing the displays over the beautifully sunny weekend. Its appearance was such a success that Brendon Deere proudly accepted the Grand Champion Warbird award at the post-show dinner on Sunday evening. April 25 marked ANZAC Day, when the Spitfire would be flown around various venues in the hands of Sqn Ldr Sean Perrett, who is a former RAF Harrier pilot and flew with the Red Arrows from 1995-1997. Sean is now with the RNZAF Central Flying School based at Ohakea, as well as being commander of the RNZAF Historic Flight flying aircraft such as ‘Harvard One-Five’ (NZ1015). “After Omaka, we brought the aircraft back and prepared for ANZAC Day. ANZAC Day is very significant in New Zealand because it originally commemorated the ANZAC division that landed at Gallipoli, but now it is generally seen as the day of commemoration of all servicemen and conflicts. “We did a privately arranged event. Sean Perrett flew the Spitfire, starting at Ohakea and then taking in Palmerston North, Fielding and flying over Marton before going across to Wanganui. After it landed at Wanganui, we were somewhat taken aback to find in the course of the hour we were there that around a thousand people came to see it. So that was very popular and it’s something we want to do every year from now on, and already next year’s ANZAC Day flypast has been expanded after requests to include other venues. That was pretty important, it all went really well, we had a nice day for it and I was actually staggered by the amount of people that came out to see it. It was quite heartwarming. “Since ANZAC Day we have been down to Blenheim for an officer graduation for the air force as part of our co-operation with the RNZAF. We provided a flypast which the prime minister of New Zealand was present at. “We have also done a quite unique four-ship formation with the Spitfire and three King Airs for a wings graduation here at Ohakea. So that was something to be seen. “After that, the most significant thing was on Battle of Britain day on 15 September when John Lanham flew it down to Wellington over the cenotaph for all the assembled dignitaries, politicians and veterans. We had our own mini Battle of Britain Sunday service here and we did a display which attracted about 300 people just by word of mouth. Brendon had some very exciting news about future plans for the Spitfire at Ohakea too: “When we were looking at where would be best to test fly it from, we thought we would approach the RNZAF and ask if they would allow us to test fly it from here – and we’ve had nothing but exceptional interest and co-operation right from the Chief of the Air Force down. They’ve gone to great lengths to make space for us and made it very clear that they love having the aircraft here. “After quite a long period of working through the details, we reached an agreement in September 2009 to base the aircraft permanently here at Ohakea. Although it’s a privately owned aircraft, we’ve got permission to build a hangar for it down the other end of the base in an area that’s been designated for historic aircraft. “What we have tried to do is have the aircraft fly as an informal part of the Historic Flight. It’s not an RNZAF aircraft, but we have certainly tried to make it available for RNZAF events such as the wings graduation and officer’s graduation that we have done. We had the Royal New Zealand Air Force Association annual conference here and we put on a display for them too. “Those things to me are part of the fair balance that comes out of the co-operation we’ve had from the air force. They seem to love having it here, we like being here and it’s a great facility. “Ohakea is a wonderful operational environment for the Spitfire. It’s got very good airspace control, and everybody round here knows how to respect and treat an aeroplane. Based in Al Deere’s native New Zealand and restored to airworthy condition by his family, PV270 really does have an emotive story behind it. The Spitfire has been a wonderful addition to New Zealand’s impressive historic aircraft movement, and will be paying tribute to RNZAF aviators for many years to come. Alan Deere is one of the most well-know New Zealand fighter pilots. He was born in Auckland on 12 December 1917 and grew up in Wanganui. Joining the RAF in October 1937, his first posting was to 54 Squadron in September 1938. This unit converted from Gloster Gladiator Is to Spitfire Is in March 1939. As well as being heavily involved with air cover for the evacuation of Dunkirk, Al Deere was fighting in the thick of the Battle of Britain. He was awarded a Bar to his DFC and also earned the Distinguished Service Order, Croix de Guerre and the DFC (US). As the war continued he took up a number of posts as commanding officer and in 1943 became the Wing Leader of Biggin Hill. By the end of the war his total victory tally reached 21 destroyed, 10 probables and 18 damaged. His post-war appointments included station commander of Biggin Hill and Duxford, and from 1961 to 1964 he was Aide de Camp to Her Majesty Queen Elizabeth II. 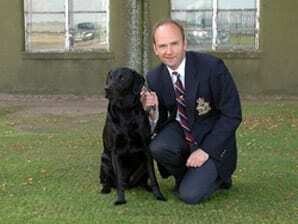 He was awarded an OBE in 1946 and retired from the RAF in December 1967, with the rank of Air Commodore. He wrote of his experiences and numerous near impossible wartime escapes from death in his classic autobiography Nine Lives, first published in 1959. Alan Deere passed away on 1 September 1995. With many thanks to Brendon Deere for his time talking to the editor and for kindly supplying photographs from his uncle’s personal collection.